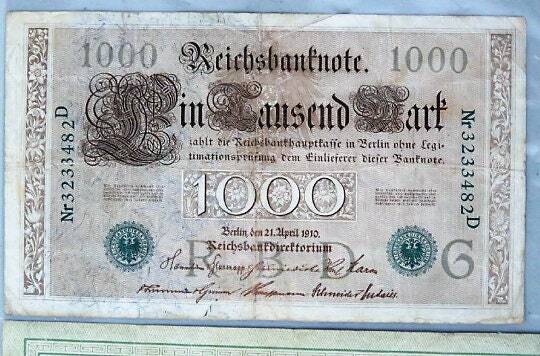 Nice condition on this April 21, 1910 issue 1,000 Reichsbanknote from Berlin. Pre-WW1. 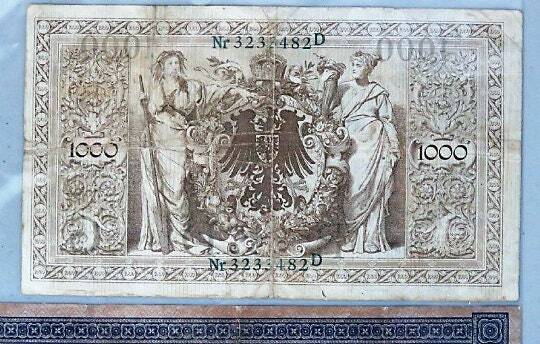 No pinholes or tears, about uncirculated.